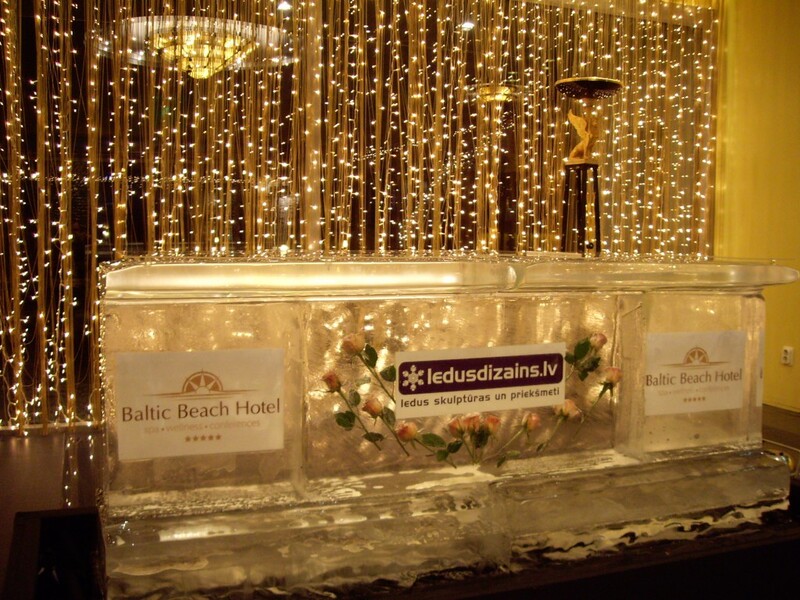 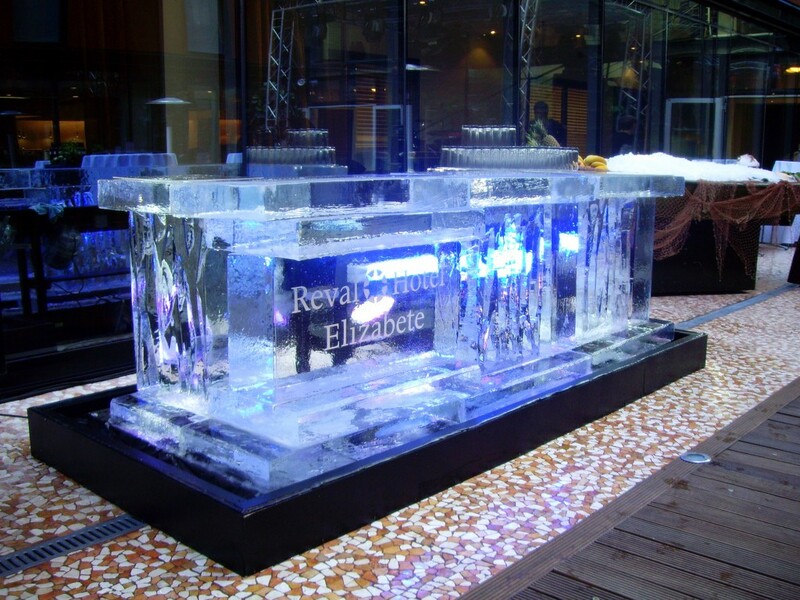 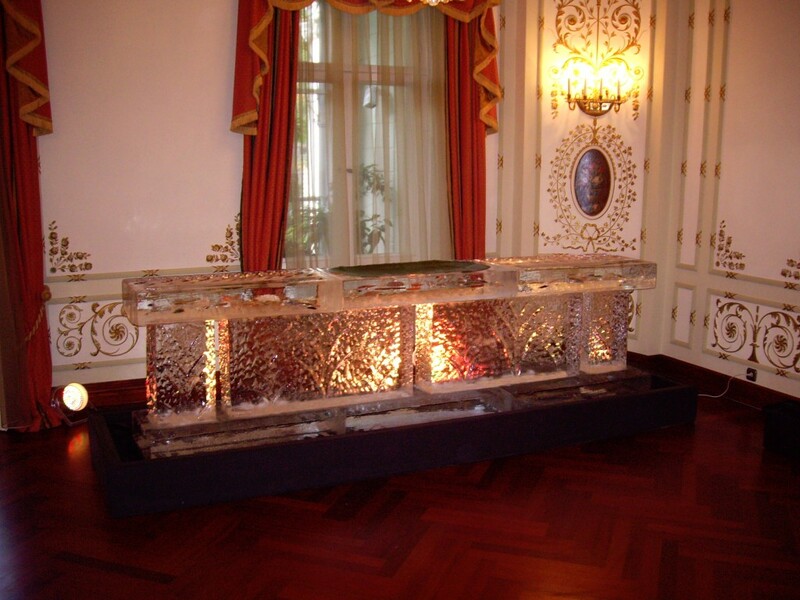 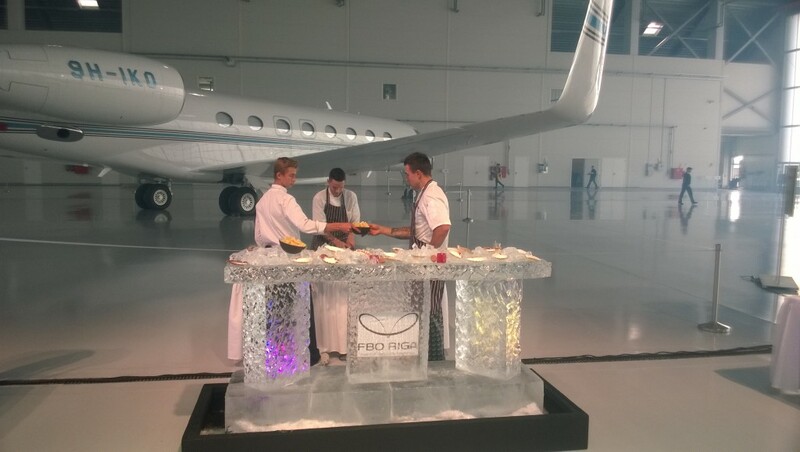 The Ice bar from the ice is a way how to create pleasant atmosphere in parties, presentations and advertisement events. 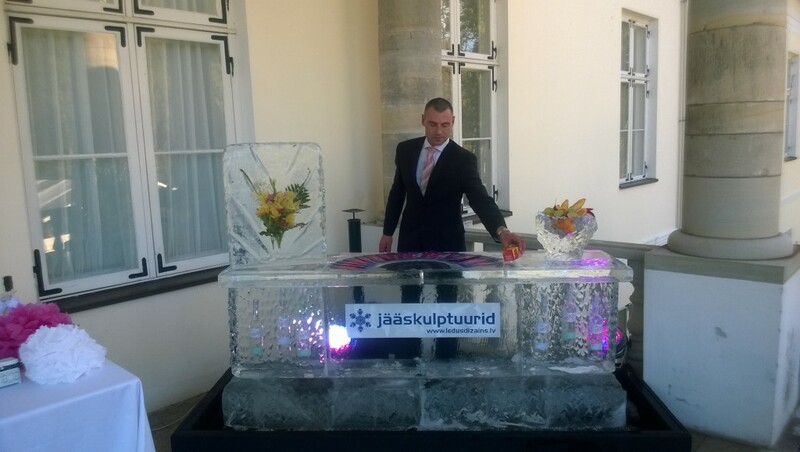 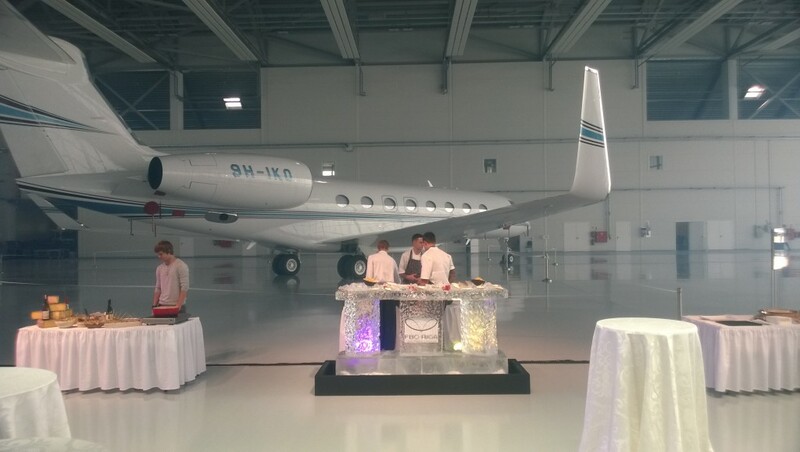 Ice bar is a special way how to hand drinks and how to present new products. 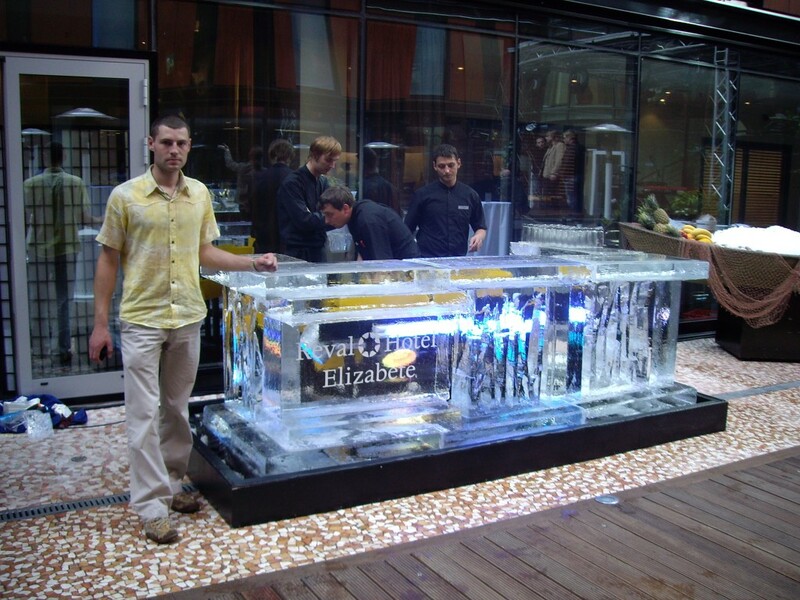 The ice for creating the ice bar is taken from clear spring water. 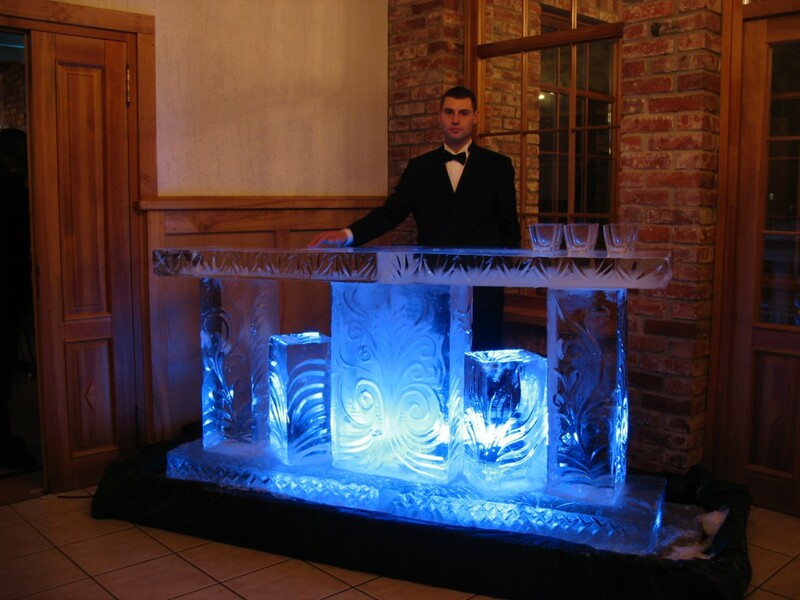 Bar is formed from blocks that are produced in correspondence with the needs of each event. 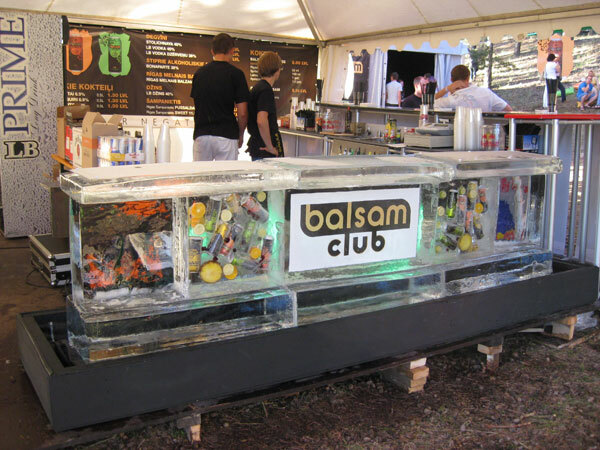 Ice bars, supplemented with drinking glasses and bottles allows enjoying cooled drinks and offers unforgettable emotions.